Set in 1930s’ Ceylon amid tea plantations, decay, corruption and the backwash of empire, this gripping novel by the author of The Rose Grower, confirms her as a writer of real talent and originality. Sam Obeysekere -- “obey” by name and by nature -- is a Ceylonese lawyer, a perfect product of empire. His family once had wealth and influence but starts to crack open as political change comes to the island, and Sam’s glamorous father dies leaving gambling debts. But the Obeysekeres’ troubles reach back into the past, when a baby was found dead in his cot. 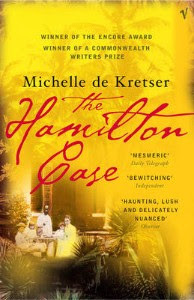 And at the heart of the novel is the Hamilton Case, a murder scandal that shakes the upper echelons of island society. Sam’s involvement in it makes his name but sets his life on course for disappointment. FL Speak - When I first started this book, I stopped reading after about 50 pages. A week later, I couldn't stop reading it. The book is essentially carved in two parts. The first speaks about Sam in his childhood, his past, his prime and the famous Hamilton trial in which he was a part. And when it looks like Sam will finally speak about it, the first part ends in a bizarre way. It seems these were all written down in notes that was found in Sam's study after he was dead. The second part of the novel moves on to the anti-British sentiments rampaging all over Ceylon, thanks to his ex brother-in-law and his hated rival, Jaya. It also deals with his life after marriage and his turbulent relationship with his once-famous mother. Let me give you a gist of the story. Sam is a lawyer. The heart of the book is the Hamilton case where a young Britisher, Hamilton was found murdered. Inspired by Holmes and Poirot, Sam decides to be the detective and bring justice. However justice falls on the head of another young British man, Taylor and he's found guilty. It is only then that Sam realises Taylor might not have been a murderer after all, despite all the clues that led to him. Even though the murder is the heart of the story, this is no murder mystery. The whole saga ends in about 50 pages. There is no detailed cat and mouse chase. No, my friends, this book is far more engrossing than a murder. Years later, when Sam is married, the ghosts of the past come to haunt. His once beautiful and equally infamous mother is slowly on her way to insanity. His sister has committed suicide along with her child and Sam can feel the cracks in his life. This is where things get interesting. Jaya, his old rival and political activist is raising a storm against the British and Sam has lost the chance to be in their good books when he sent a Britisher to the hangman, irrespective of whether justice prevailed or not. And then we go back to Sam's memories where he remembers standing over his dead infant brother together with his sister holding a pillow. That is one mystery I never figured out. I believed Sam to be very protective about his younger sister throughout the book, until the last few pages when after her death, her ex-husband confines to an old friend of Sam that Sam kept pointing the finger at his sister as the reason of his death when still a baby. During the last stages of Sam's life, he chances upon a book by a old friend. There was a story called "Death of a Planter". It implicated the Hamilton case without naming anyone and mentioned how a certain young wannabe Holmes sent an innocent man to his death. That story and another comment by Jaya years later about how he knew the real killer made me pause. You see, The Hamilton Case might be the string that holds the book but it is certainly not the only thing interesting. Sam's relationship with his mother, his sister and later on, his son proved to be equally mesmerising. What's the moral of the book or what point the author wanted to make, I have no idea. And honestly, I don't care. Because this book is truly captivating. Layers .. interesting book ..